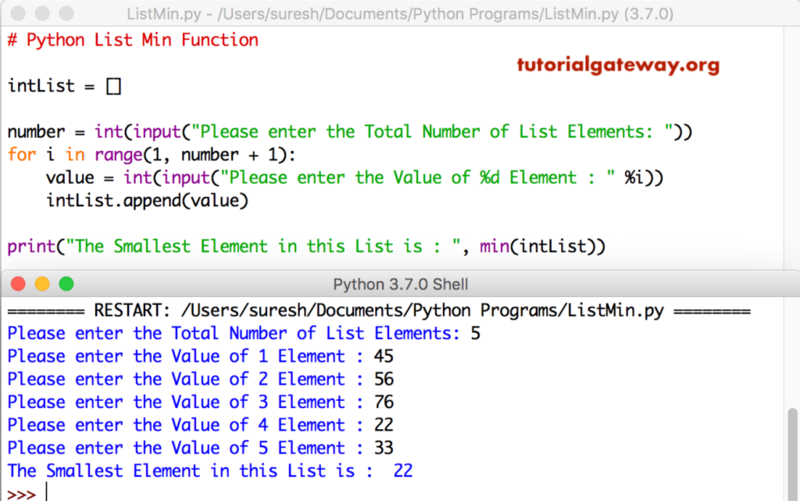 Python Min List is one of the List function, which is used to return the minimum value in a list. In this article, we will show you, How to use this Python List Minimum function with practical examples. This python program is same as first example. However, this time we are allowing user to enter the length of a List. Next, we used For Loop to add numbers to the list. Let me use this Min function on Mixed List. This time we used Nested list (list inside list). Here, Min function uses first value in each nested list, and return the least or minimum value.